Talking about all my favourite things – Theatre, TV, Film & Books! My Game of Thrones, Hopes, Fears & Deadpool for season 8! Television Review – Suits 8.16 “Harvey” (shouldn’t that really be Darvey)?! Last night, I had the opportunity to watch a preview of one of the year’s most anticipated films and I have to say, I was not prepared for the emotional response it would illicit from me. So viscerally real is the emotional gut punch this film delivers, that I left the cinema feeling as if I’d just experienced a story first hand, as is often the case following a powerful theatre show. It is almost as if you are standing backstage watching the story take place in front of your eyes. For those who, like me, have not seen any of the previous three versions of this story, A Star Is Born sees internationally successful musician and singer, Jackson Maine (Bradley Cooper), struggling with the pressures of a career in the spotlight, the worsening of his tinnitus problem and toughest of all, an addiction to drugs and alcohol. One night, after a concert, he stumbles in to a bar and is captivated by the raw vocal talent of Ally (Lady Gaga) and the two have an immediate connection. What follows is an incredibly moving exploration of two careers at opposite ends of the spectrum – as one takes flight, the other falls to earth and how the pain and heartbreak of addiction affects not just the addict, but those closest to them. The question I’ve been asked most since seeing the film is whether Lady Gaga can act. The answer is an emphatic yes and she delivers a confident, beautiful performance as Ally, from her early, slightly nervous interactions with Jackson, to a woman taking a hold of her chance at success and shining. I admit, I’d wondered whether I’d be able to see past the extravagant image we all know her for so well. Yet, the film perfectly takes those pre-conceptions and discards them, as we see Ally first perform La Vie En Rose, on stage at a drag show, in full make-up, only for this to be stripped away, in part literally by Jackson, to reveal the person underneath and you soon forget she’s ever anyone else. It’s no surprise her vocals are stunning, from the intimate gig, to the vast stadiums, but Lady Gaga also brings the soul of her character to the forefront, as we see her struggle to first believe her good fortune, before also finding herself in love with a man she’s trying so desperately to help. Many have wondered whether she’d be able to stand shoulder to shoulder with Judy Garland and Barbara Streisand (both of whom have starred in previous versions). They needn’t have worried and I fully expect award nominations for her performance, which will no doubt introduce her to a whole new audience. Another key to the success of this film is the chemistry between Lady Gaga and Bradley Cooper. From their very first scene together, you can feel the connection between them and it certainly adds credibility to a story in which two people almost instantly fall in love. It doesn’t feel contrived or forced. You believe the passion and love they share, which is essential if you are going to invest in the journey of these two characters. Watching them move through the highs and lows, I felt as if I was observing real lives; that’s how strong their relationship on screen is and the trust and affection they clearly have for each other as actors feeds in to their performances. Together, they make you laugh and cry. As for Bradley Cooper’s performance in the film, in my opinion, it’s his finest performance to date and should undoubtably earn him a fifth Oscar nomination. Not only does he look different, but his voice is lower and more importantly, he is able to convey the complex palette of emotions that are constantly battling within Jackson as an addict. The combination of his hearing difficulties and need to rely on drugs and alcohol to simply exist in the touring world he inhabits have made him a lonely figure and it’s a joy to see the difference meeting Ally brings to his life. You see the light in his eyes at having a new reason to live. Jackson, in the hands of Cooper, is a gentle soul, struggling to keep going and the vulnerability he brings to the role is utterly heart-wrenching to watch, as we see a man with so many personal demons he’s trying to overcome and I confess, there were moments so emotionally raw, that I could barely watch. At this point in time, I can’t imagine a finer performance beating him to next year’s Oscar and 24 hours after watching the film, his astounding performance is still on my mind. The film also draws on strong supporting performances, most notably from Sam Elliott, who plays Jackson’s older brother Bobby, who stepped in to the role of the father figure his brother never had, due to their father’s own problems with alcohol and this relationship forms another touching facet of the story. Bringing a lightness and humour to the film is Andrew Dice Clay, as Ally’s father, whose pride and utter joy at her success brought a smile to my face. A Star Is Born is also the directorial debut of Cooper and what a superb achievement it is. Yes, it’s perhaps a little too long and drags slightly in places, but it’s clear that Cooper had a strong eye and clear vision of what he wanted to bring to the screen. His choices in certain scenes, whether the framing, or the focus on which the camera rests in order to maximise both the stunning scale of the bigger moments and the quiet intimacy in others, is certainly impressive. If this is what he can achieve with his first film, I cannot wait to see what else we’ll see from him in the future. A film centring on the love and lives of two singers, also required a strong soundtrack and the original songs written for the film are stunning and crucially, filmed live for the scenes. This decision adds yet more authenticity to the piece, as we see Cooper and Lady Gaga performing in front of audiences at actual venues (including Coachella in California and Glastonbury in the UK). The biggest surprise musically, is perhaps the vocal ability of Cooper, who has a fantastic voice and you can sense the pleasure the two leads had performing together. As well as Lady Gaga and Cooper, collaborators include Luke Nelson, Mark Ronson, Dave Cobb, Diane Warren, Julia Michaels and Justin Tranter. I can easily see the film vying against itself in the original song category at next year’s Oscars! The film isn’t perfect of course. I’ve mentioned it’s a little too long and although my view may be clouded by his later decisions, which left me so angry, the character of Ally’s manager seems rather two-dimensional. That being said, my response to A Star Is Born is overwhelmingly positive. In fact it exceeded all my expectations, delivering not just a wonderful love story, but also a very real, painful and heartbreaking insight in to the struggles so many people suffer when caught up in cycles of addiction. Writers Eric Roth, Will Fetters and Cooper himself, have taken a classic story and brought it in to the twenty first century, ensuring it feels utterly relevant for today’s world. I laughed, I smiled, I held my breath during both the highs and lows and I shed quite a few tears. This is a film that will stay with me for a long time and I’ll be returning to see it again at the earliest opportunity. 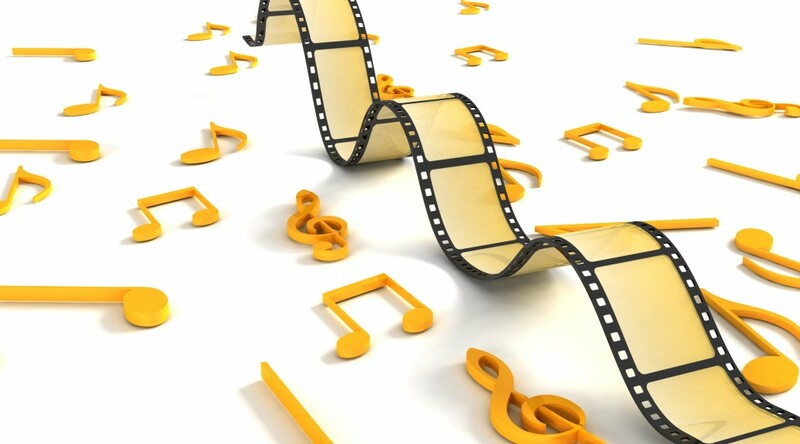 Music that makes a film – My favourite film scores. 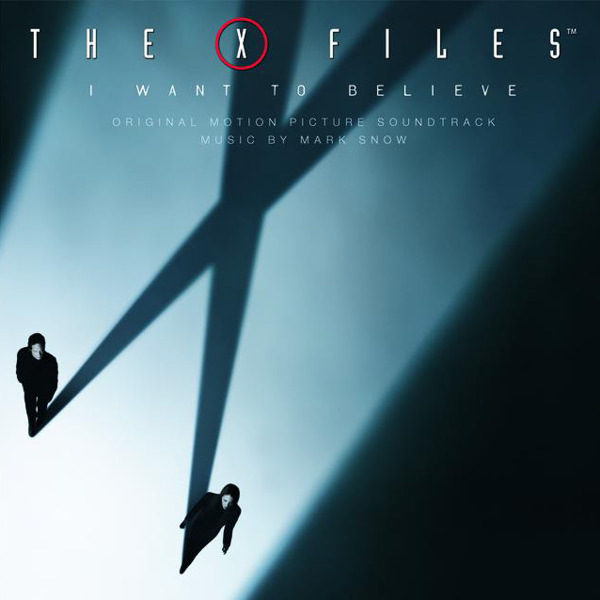 As my theatregoing is on hold at the moment due to a broken foot, I’ve been thinking more about films recently and one thing that has always been clear to me is how crucial a movie’s score is to the connection you have with the film. In fact there are some films where I love the music more than the film! Deciding on my favourite film scores has been a lot harder than I expected and this list could have been much longer. It’s already longer than my usual lists, being a top 20! For each film I’ve chosen a specific piece from the score that I especially love, although there are some entries where the whole album from start to finish could have been listed. Feel free to let me know your choices in the comments. 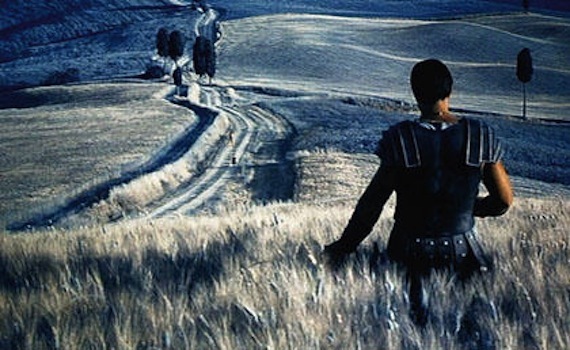 The soundtrack from Gladiator remains one of my all time favourites and these specific two pieces from it, which have such a powerful, emotional impact at the film’s end is still my top choice for any piece of movie music. I cannot fail but be moved whenever I hear it and it was particularly incredible to experience it live at the Royal Albert Hall earlier this year (see my earlier post on that event). 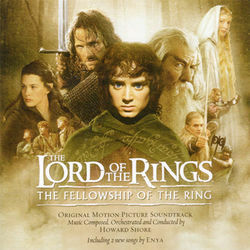 Probably my favourite film score from beginning to end is that from The Lord of the Rings: The Fellowship of the Ring. Each film in the trilogy has a wonderful score by Howard Shore, with moments that still leave me in awe of his talent, but as my favourite of the films and the first time this music was brought to life, The Fellowship wins. It was tough choosing a specific track but if I have to it would definitely be this one, during which the Fellowship separates in to the strands that will continue for the rest of the story. It’s hard to believe over a decade on that there was ever a time when these now instantly recognisable pieces of gorgeous music didn’t exist! 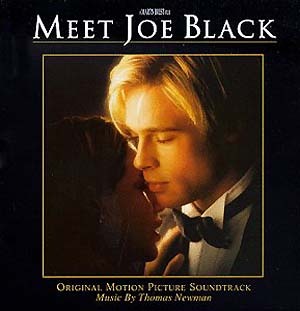 Some people love Meet Joe Black and others can’t stand it, but I still think it has a beautiful score by Thomas Newman. It is subtle, understated and works wonderfully for the movie and never more so than the lovely That Next Place, which underpins the film’s bittersweet and emotional ending. Give it another listen if you can’t remember it. You may even shed a tear. 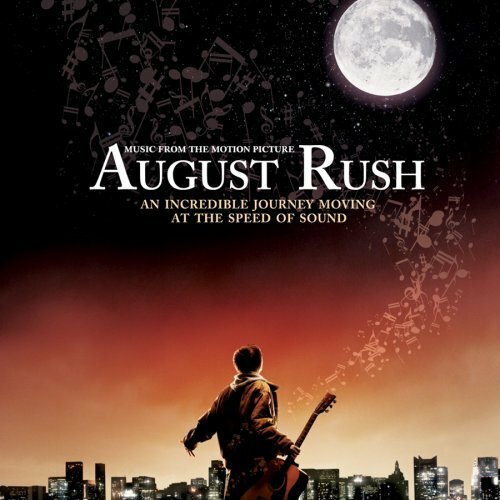 August Rush is such a sweet little film about a boy in search of his real parents and his love of the music that is all around us. The film builds to this gorgeous suite of various instruments, which together are so wonderful. One of the clearest examples of the power of music and film together. Before the glorious television triumph that is The West Wing, Aaron Sorkin wrote another story about the White House for film. 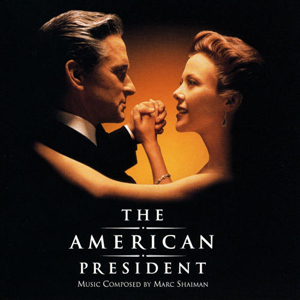 This was The American President with Michael Douglas as the charming but firm President Shepherd. It’s a wonderful film and Marc Shaiman’s beautifully romantic score is the perfect accompaniment and is one album I never tire of listening to. 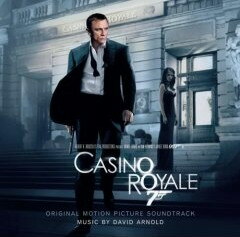 David Arnold took on quite a responsibility when scoring the new Bond film in 2006. Arguably John Barry is as intrinsically linked to Bond as the actor in the title role. The score for Casino Royale did a fantastic job in rebooting the franchise and yet still giving a nod to the past. My favourite piece though is Vesper’s theme. It’s such a delicate piece of music, which seems quite new for a Bond movie, focusing on the romance rather than the action. 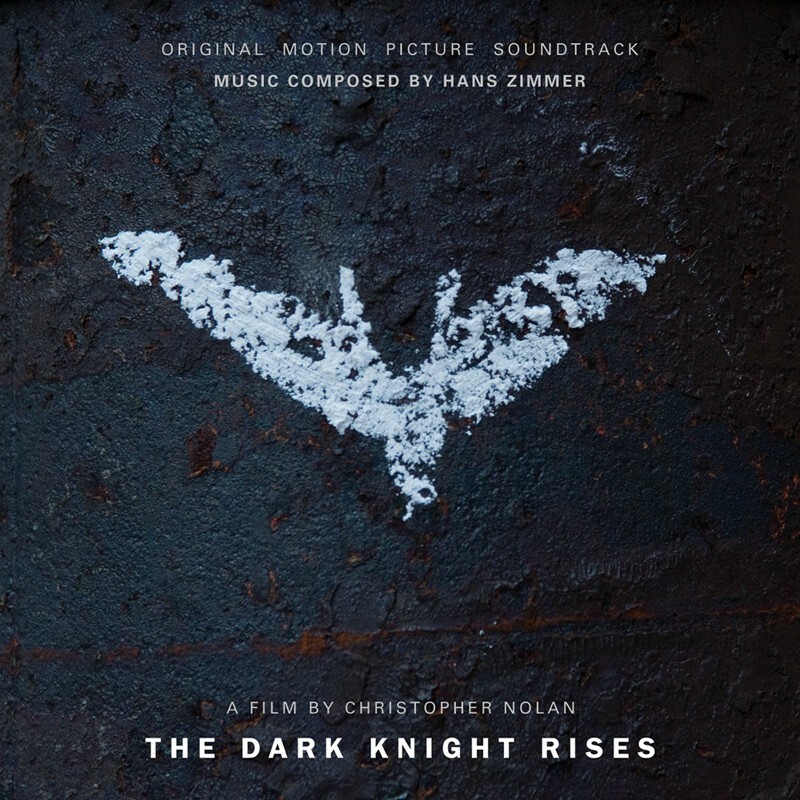 Christopher Nolan’s trilogy is the pinnacle of comic book films for me. Why we are getting another Batman so soon is beyond me. A huge part of the style and atmosphere of the trilogy is the score and the themes that run through them all. For me, these all build up to an impressive climax with The End from the final movie, which plays over the last few minutes of this brilliant film. I can’t imagine the movies without the score, which highlights how pivotal it is. As a lifelong X-Files fan, the return of my favourite characters in 2008 was very exciting. Admittedly though this second big screen adventure did not live up to the past and this choice is an example of a piece of movie music I love more than the film that created it! Mark Snow will always be a special part of Mulder and Scully’s world and this lovely piece from their tender final scene together is perfect. 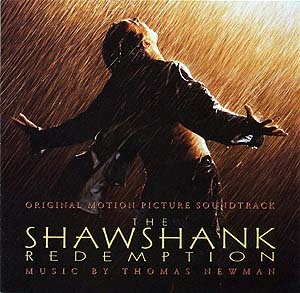 The Shawshank Redemption is my favourite film and so it was inevitable Thomas Newman’s score would appear in this list. I can listen to it all quite easily, with all its light and shadow. However if I have to pick only one piece to draw out, it would be this one, as Red makes his final journey. Just thinking about it makes me want to watch the film again! I am not ashamed to admit to liking Titanic. Maybe I was the right age group when it was released, but I was captivated by the stunning sets, the costumes (especially Kate’s first outfit) and beautiful music from James Horner. The soundtrack is one of the first film scores that I noticed doing well commercially, which can only ever be a good thing for interest in classical music. James Horner successfully translates the power of the ship, the romance of the story and the emotional tragedy of the sinking perfectly. I could have picked so much of this score but An Ocean of Memories is one that includes all the elements that, for me, show what a brilliant score it is. 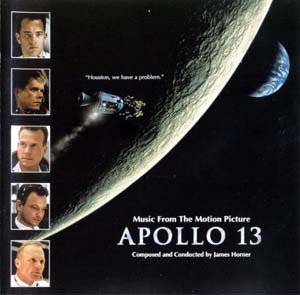 Another superb film is Apollo 13 and another entry for James Horner in this list. The score adds to the patriotic, heroic themes running through the film, as we learn the incredible story of three astronauts whose unsuccessful mission to the Moon almost cost them their lives and the brave individuals who worked tirelessly to get them home safely. This track in particular, The Launch, is classic James Horner – it is bold, soaring and feels epic in scope. 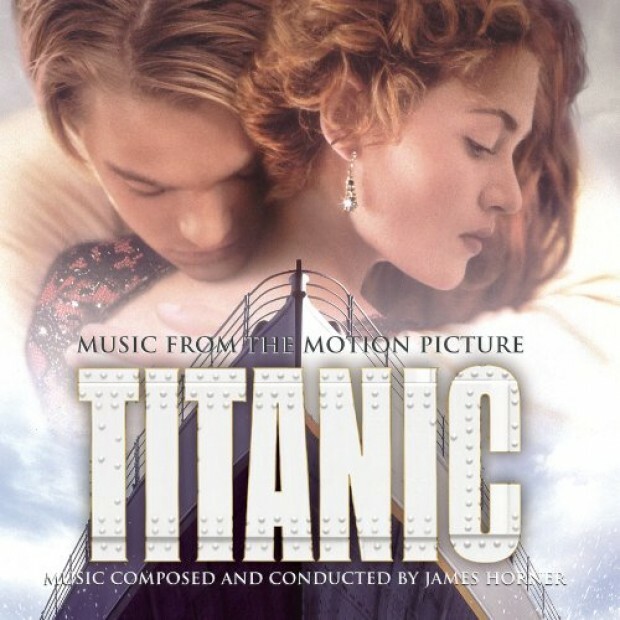 As he does with his Titanic score he is able to use music to bring to life such incredible feats of human achievement while still capturing the emotional humanity of the story. This is such a classic piece of movie music, but is another example of me being more familiar with the music than the film itself! 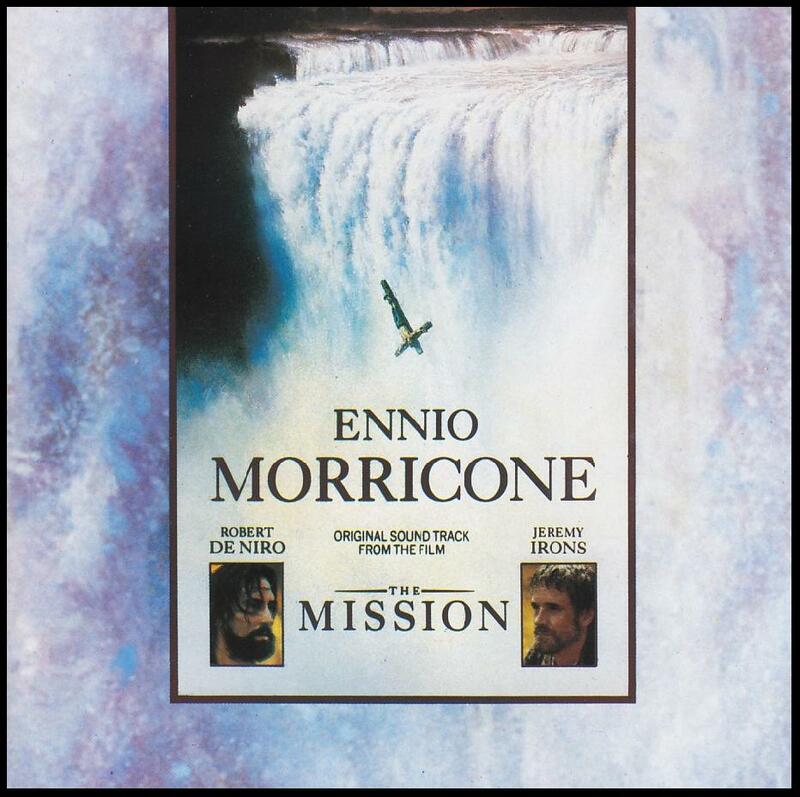 Ennio Morricone has created some wonderful music for film, but for me Gabriel’s Oboe is at the top. It is a beautifully emotive, delicate piece, that is far to short for my liking, but perhaps that’s one of the reasons it works so well. It leaves you wishing it would go on forever! Schindler’s List is one of the most powerful and important films made and is something I strongly believe everyone should watch to ensure such a terrible time in history is never forgotten. 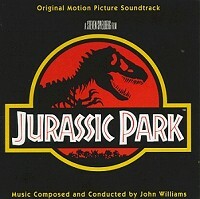 As Steven Spielberg’s long term collaborator John Williams creates something stunning with the music for the film. It doesn’t distract from the film, but blends with it to convey the power of the events on the screen and the theme from the film remains one of the most powerfully, emotional movie themes I’ve ever heard. It makes me cry every time I hear it with the sole violin played with such love by Itzhak Perlman. I still remember seeing Jurassic Park for the first time at the cinema as a kid and being in awe of what I was seeing. Dinosaurs really were real. They had to be! 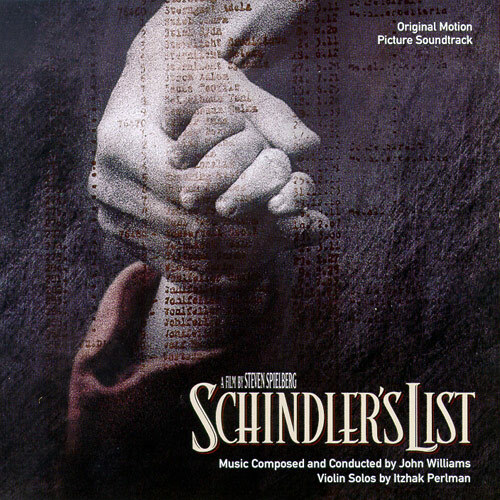 Yet again the partnership of Williams and Spielberg worked to create another memorable soundtrack and one that remains near the top of most movie music polls. The next choice for this list is Craig Armstrong’s Portuguese Love Theme from Richard Curtis’s festive film. You often hear all of his love themes together in one suite, but if I had to choose one it would be the romantic music underpinning the love that grows between Colin Firth’s Jamie and his Portuguese maid Aurelia. It makes me smile every time I hear it. 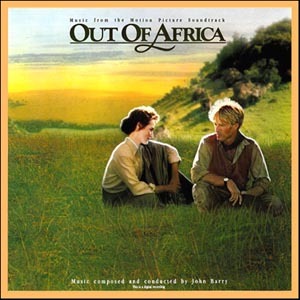 John Barry’s beautiful score to Out of Africa had to be included in this list as it is remains to me one of the most romantic and emotional pieces of music from any film score. I can’t imagine anyone not feeling moved when they hear it. 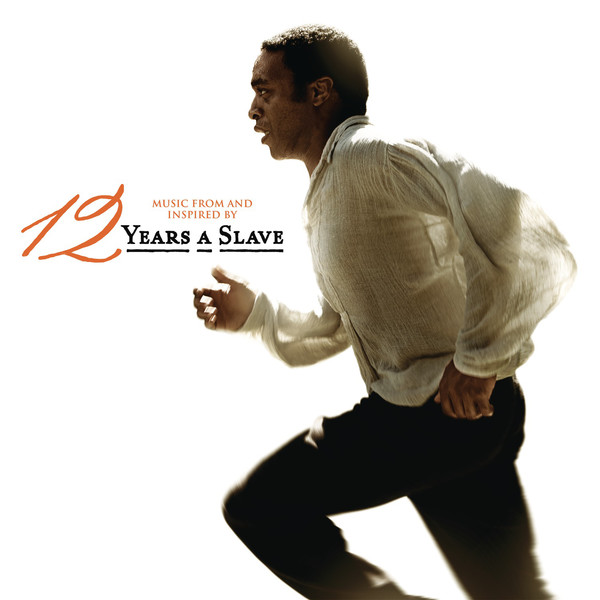 12 Years A Slave became one of the most incredible films I’d ever seen immediately. Its sheer power, emotional depth and heartbreaking story moved me to tears. The music is a great balance for the film, with metallic chain-like effects adding to the horror and suffering seen on screen. However for me it is the track Solomon which captures all the emotions the film stirs up and it had to be included in this list. If you have yet to watch this film I can’t recommend it enough. 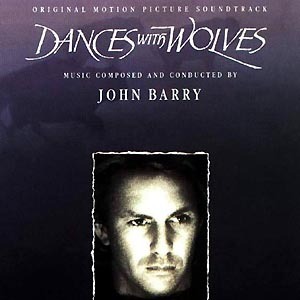 Another John Barry classic from a wonderful film. It’s a superb soundtrack, but I especially love the John Dunbar Theme, which captures all the wonder of the film brilliantly in the way John Barry does best. 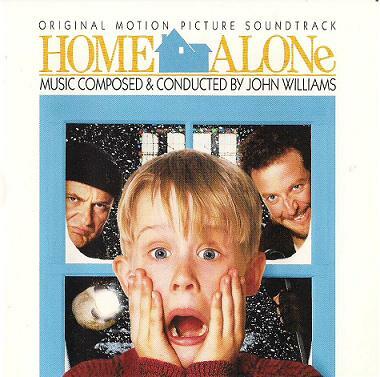 One of my favourite childhood films and a Christmas tradition, Home Alone’s score by John Williams is the perfect festive soundtrack. It captures all the heart, beauty and fun of this classic family film and yet again shows what a special composer John Williams is. 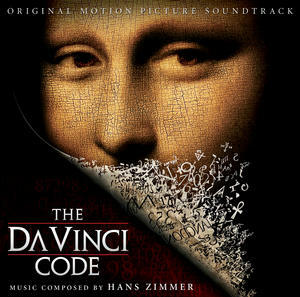 It may have been a controversial book and film on release, but Hans Zimmer does a great job with the score, particularly for the film’s end, as Robert Langdon realises the answer to the riddle he’s been trying to solve throughout the story. 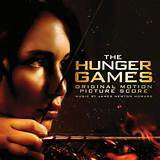 After recently watching the final film in The Hunger Games franchise I was reminded of just how powerful its score is and I had to add it to this list. Picking just one theme is hard but it would have to be Rue’s theme, first heard in the tragic, yet beautiful scene in which Katniss honours her fallen friend. The music lifts the emotion of this moment to something very special and it brought a lump to my throat. So those are my top choices. There are so many other wonderful scores I could have included, but especially Pirates of the Caribbean (Hans Zimmer) and Hook (John Williams). Composers play such an important part in the creation of special films and it’s wonderful that the soundtracks are as accessible as they are these days. I’m excited to see what the next film will be that will captivate me through what I hear as well as what I see on the screen. For anyone looking for a good compilation of movie music, I highly recommend the Classic FM at the Movies sets, which contain some of the ones I’ve mentioned as well as other classic film scores. Posted on October 12, 2014 March 22, 2016 Categories Film, MusicTags Craig Armstrong, David Arnold, Ennio Morricone, Film, Film music, Hans Zimmer, Howard Shore, James Horner, James Newton Howard, John Barry, John Williams, Marc Shaiman, Mark Mancina, Mark Snow, Thomas Newman1 Comment on Music that makes a film – My favourite film scores. 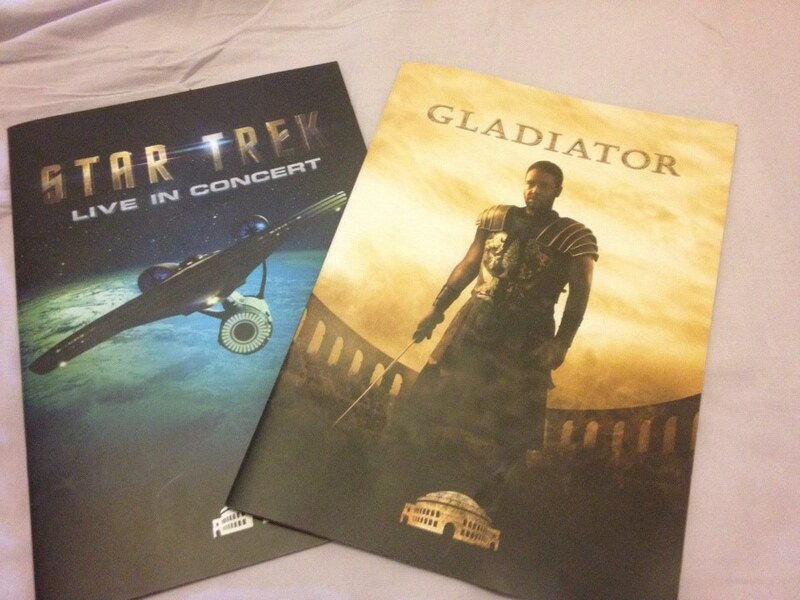 Music & Movies at The Royal Albert Hall with Gladiator (2000), Star Trek (2009) and Star Trek: Into Darkness (2013) Live! It was in 2010 when I first became aware of the Royal Albert Hall’s film screenings, accompanied by a live orchestra playing the score as you watch. It sounded like a brilliant idea and I managed to see The Lord of the Rings: The Two Towers that year. Since then I’ve been trying to go to another such concert and ironically, the last week of May saw me making three trips to this famous concert venue to do just that! 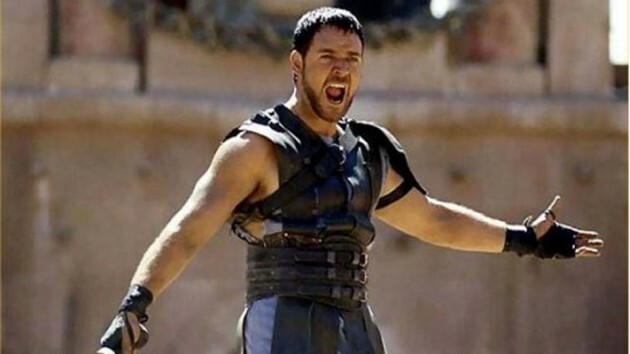 My first outing was to see one of my favourite films – Ridley Scott’s sweeping epic from 2000 Gladiator starring Russell Crowe in probably his most recognisable role to date. Every time I watch this film I remember what a fantastic classic it is. The story has everything – tense and exciting battles, political intrigue, vengeance, romance and a deeply heroic but also spiritual ending for its central character. The whole cast is excellent, with long established British actors, such as Sir Derek Jacobi and Oliver Reed (whose sudden death during shooting adds a deeper poignancy to the film) alongside younger up and coming talent, including Joaquin Phoenix, together with Russell Crowe’s thoroughly deserved Oscar winning performance. Despite being 14 years old now, the visuals and the action sequences still look impressive on a big screen. Then there is the other pivotal part of the film and the reason for last month’s concerts (Gladiator had four such screenings in one week) and that is its utterly beautiful score by Hans Zimmer and Lisa Gerrard (whose input in to it earned her a co-credit). 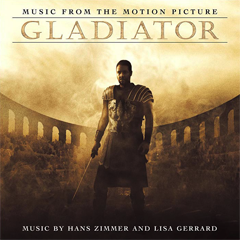 Gladiator’s score was developed by Zimmer much earlier than is usual in the film production process, as he was able to be on set and soak up the tone of the film before writing the score and the programme notes for the concert explain how the editing process and Zimmer’s composing impacted on each other. The end result is a score that captures the various moods of the story – from intense, epic battles and gladiatorial fights to the death, through to the emotionally stirring piece that underpins Maximus’s love for his home and family. It is one of a select group of film scores that I can listen to independently from the film itself. The Royal Albert Hall was a wonderful setting for this sweeping epic and the combination of film and live orchestral (and choral) score was incredible to witness. The Philharmonia Orchestra was on stage, accompanied by the Philharmonia Chorus and guest vocalist Lisa Gerrard, providing the beautifully haunting voice instantly connected with Gladiator’s score. Hearing “Now We Are Free” at the film’s end, played live by such talented musicians and singers was something I will never forget. If Gladiator ever returns to the venue, I urge you to go along, whether as a fan of the film or just of wonderful evocative live music that stirs the soul. 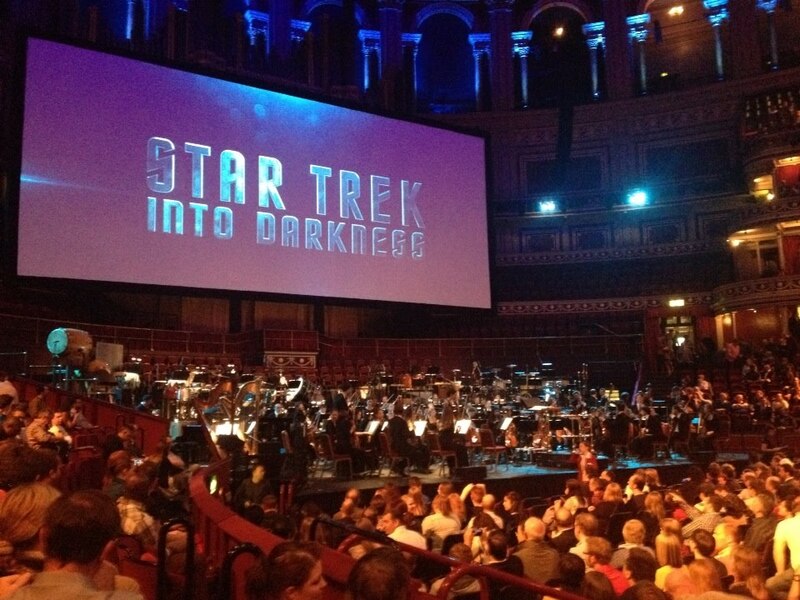 Next up was the UK premiere concert of J.J. Abrams’s first Star Trek reboot from 2009. Again the atmosphere in the Royal Albert Hall was one of excitement and enthusiasm, with some of the crowd dressed up in their Starfleet uniforms! Before the film began we were treated to an introduction from Simon “Scotty” Pegg, who then introduced to the stage J.J. Abrams himself (who he said was currently busy on a new low budget film that wasn’t worth mentioning, which earned a laugh from the audience)! J.J said some lovely words about the composer Michael Giacchino, who then also appeared, together with the night’s composer Ludwig Wicki. The screening was fantastic and having the orchestra (the 21st Century Symphony Orchestra and Chorus) there truly made me appreciate how much the music adds to the excitement of the film. 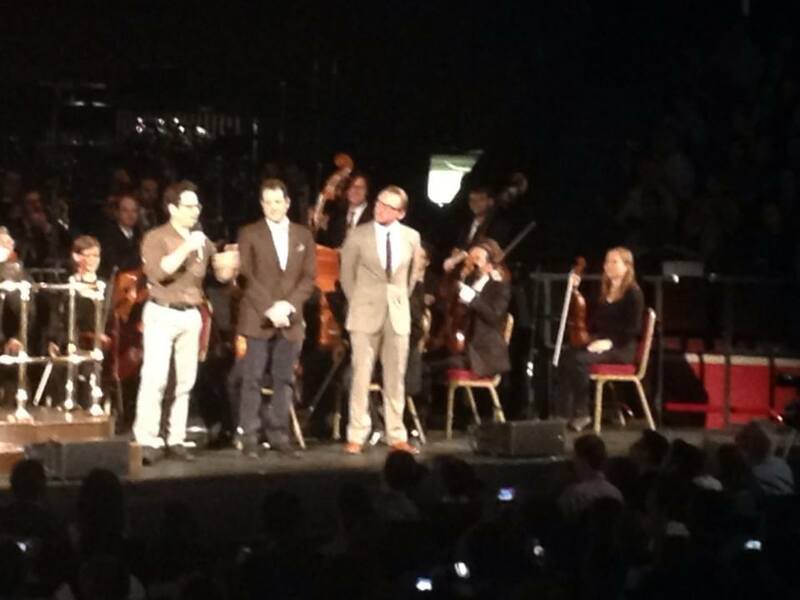 J.J Abrams, Michael Giacchino and Simon Pegg introduce Star Trek! I was never really a fan of Star Trek until the reboot, which through the introduction of Spock, Kirk and the crew in their younger days added a fresh and exciting new slant on something that had always seemed a bit unappealing to me. I’d also forgotten just how funny this first film is (the calm before the darker sequel). Chris Pine is fantastic as the young, cocky but loyal Kirk and Zachary Quinto has truly made the role of young Spock his own. Once the film ended, Michael Giacchino reappeared on stage and took the conductor’s podium himself to play an extract from his upcoming score from the new Planet of the Apes film, which was very good and seemed perfectly suited to the film. 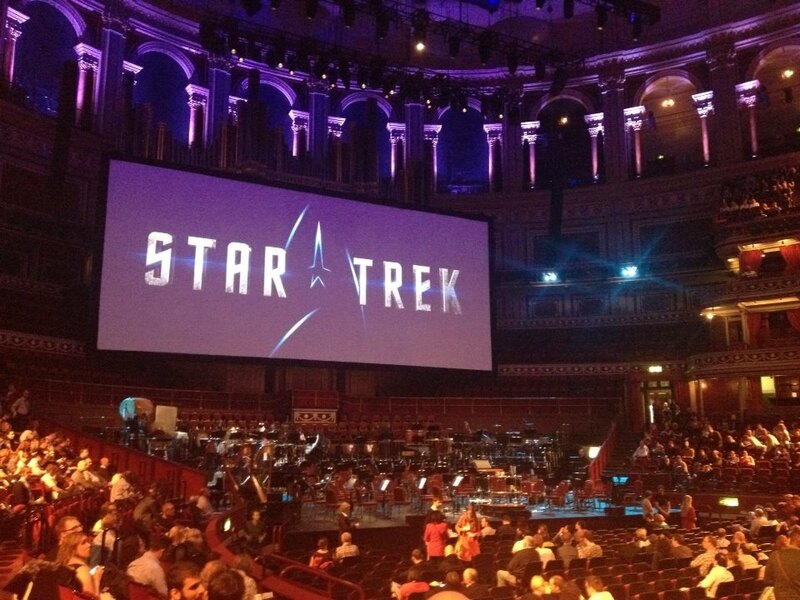 Finishing off a week of music at the Royal Albert Hall was the UK premiere of Star Trek: Into Darkness. 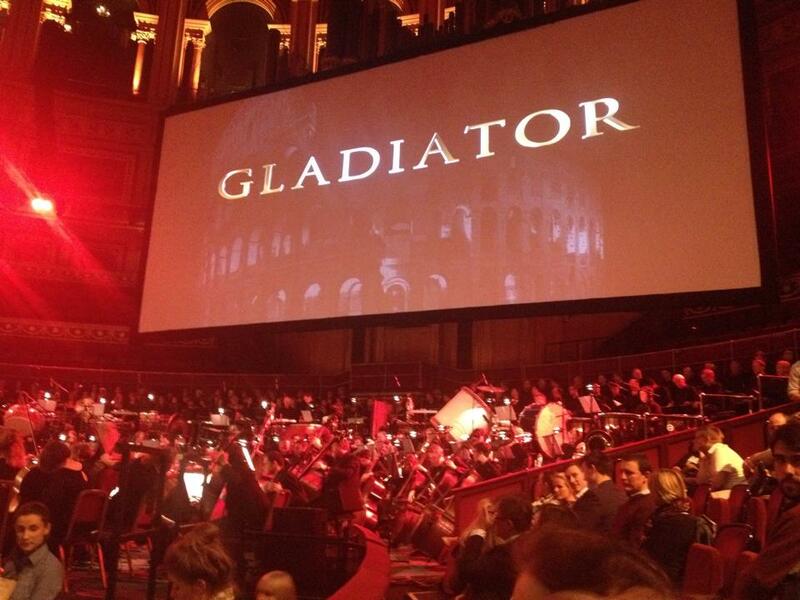 Only Michael Giacchino appeared on stage to introduce the orchestra, choir and conductor and then the film began. After watching both in two consecutive nights, I certainly prefer the second one (and that’s not just because Mr Cumberbatch is in it). The crew of the Enterprise is already assembled and so the action can begin as soon as the film starts and we are able to see the characters continue to develop. I think Chris Pine is fantastic as Kirk, moving from confident and slightly arrogant to a man ready to make the ultimate sacrifice for his crew. By the end it definitely seems that he has grown up. I also love Simon Pegg in this film, in which he has a far larger role, bringing a good dose of humour through Scotty and it would’t be the same without him. 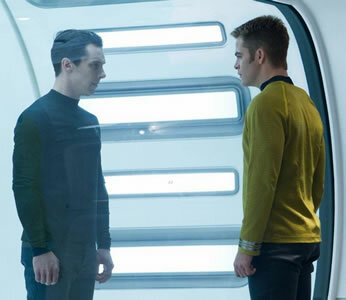 For me though the highlights of the film are Cumberbatch’s villain John Harrison and Zachary Quinto’s multi-layered portrayal of Spock. Mr. Cumberbatch may not immediately scream big blockbuster villain, but his performance is fantastic here. As “Harrison” he is measured, methodical, quietly calculating and absolutely ruthless. He is a coiled spring, waiting to be unleashed, which he does wonderfully towards the climax of the story. However he also manages to bring an emotional edge to him too, and asks Kirk if there is nothing he would not do for his family (crew). Benedict is always superb and it was great to see him tackle a different type of role.Zachary Quinto’s Spock continues to be fantastic, experiencing so much in this film and we get to see a different aspect of his personality. I love seeing him become overcome with the loss of his friend and his showdown with Harrison is fantastic. As for the score – it’s a bigger, grander, louder spectacle than the first film. Themes already created return and others join them – the fantastic villain theme for Harrison is an example. Watching the orchestra and choir bring it to life before us was incredibly exciting and they were given a much deserved standing ovation. As before, Michael Giacchino conducted his extract from Planet of the Apes (well, why not when you have a chance to conduct at the Royal Albert Hall?!). Overall this was a superb week of concerts at this iconic London music venue and I wouldn’t have missed it for anything. These events are a superb way to bring a new audience to classical music. A live orchestral concert is a unique experience and some may not think to go without something linked to it that they are familiar with. By screening popular films that also have outstanding scores, the Royal Albert Hall is encouraging a wider demographic of people to go and see live orchestral music and that is certainly something to be applauded and supported. I certainly intend to go to many more of these events and hope the Royal Albert Hall continues to include such events within their annual concert schedule. Upcoming screenings currently on sale are West Side Story (4-6 July) and Titanic, conducted by James Horner himself (in April 2015), as well as a concert in October this year to celebrate the film music of John Williams. Posted on June 21, 2014 June 21, 2014 Categories Film, MusicTags 21st Century Symphony Orchestra & Chorus, Benedict Cumberbatch, Chris Pine, Film, Film music, Gladiator, Hans Zimmer, JJ Abrams, Michael Giacchino, Music, Philharmonia Chorus, Philharmonia Orchestra, Ridley Scott, Royal Albert Hall, Russell Crowe, Simon Pegg, Star Trek, Star Trek Into Darkness, Zachary Quinto1 Comment on Music & Movies at The Royal Albert Hall with Gladiator (2000), Star Trek (2009) and Star Trek: Into Darkness (2013) Live! Si te consideras amante del chocolate, estás en blog adecuado. My experiences, good and bad, in London theatres. Bringing you independent, honest, experienced reviews of current theatre shows. We believe theatre is something truly magical and can be enjoyed by everyone. Talking about all my favourite things - Theatre, TV, Film & Books!